10th Anniversary AGM, Thursday 21st March 2019, 7.45pm. 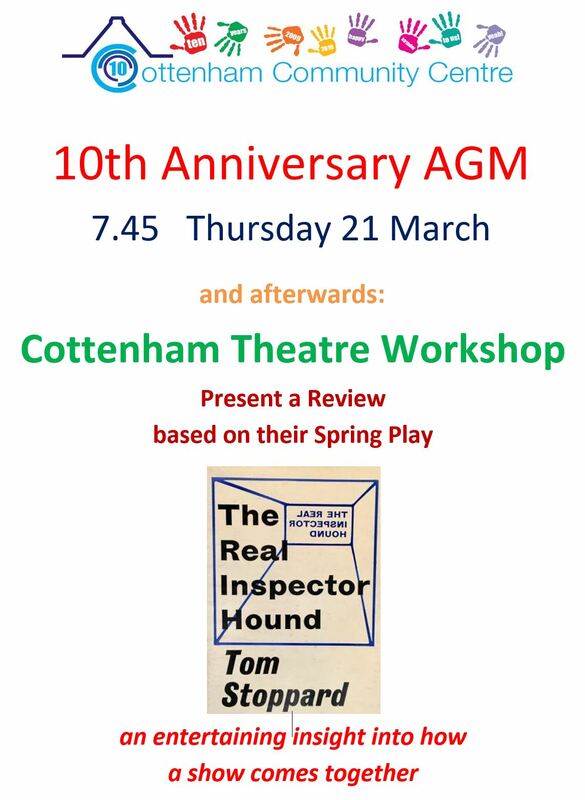 Also, Cottenham theatre Workshop present a Revue based on their Spring Play: The Real Inspector Hound. Part of our 10th anniversary, 10-day celebration.